Borrowing from the Arthurian legends, Lerner and Loewe’s Camelot is the duo’s fantastical masterpiece which triumphed on Broadway in a legendary original production that led to a film version, and numerous revivals in New York, London and across the globe. Its Original Broadway Cast Album topped the charts for 60 weeks, with a rich score boasting such gems as "If Ever I Would Leave You," “I Loved You Once in Silence,” "The Lusty Month of May," and of course, "Camelot." An idealistic young King Arthur hopes to create a kingdom built on honor and dignity, embodied by his Knights of The Round Table. His Ideals, however, are tested when his lovely queen, Guinevere, falls in love with the young Knight, Lancelot and the fate of the kingdom hangs in the balance. The White Theatre is pleased to introduce Rachael Redler as the director for our upcoming production of Camelot! Rachael is a new face at The White Theatre and her enthusiasm for Camelot is infectious. 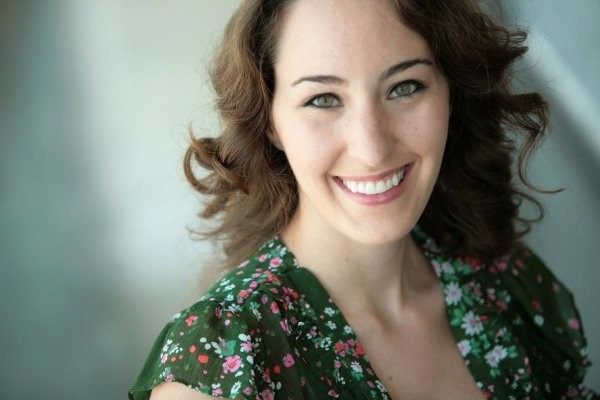 Rachael received a BFA in Acting from Avila University after completing training at AMDA in New York. She soon realized that she prefers to direct, using her experiences and education to find the heart of a show through the actors and telling a relatable story. Camelot has been on her short list of "Please Let Me Direct Someday" shows for a long time, and she's thrilled to be able to stage this classic. With the creative team and cast, she will work to shine light on the heart of the story, emphasizing the themes that have kept people interested in the Camelot legend for so many years.